Designing The New Palm Beach. Incredible interior design does not happen by chance. Great spaces are carefully explored, planned, and curated by professionals. A home renovation is a big life event, and the Krista + Home team carefully manages the entire process from the initial client meeting to placing the final pillow to ensure each project is seamless. We are currently accepting whole home and multiple room projects only. We offer luxurious living through state-of-the-art architectural concepts, custom accessories, unique furnishing, and opulent collectibles. 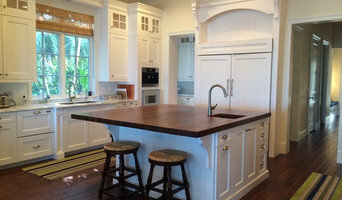 Island Time Renovation & Design, based in Jupiter, Florida, offers residential interior design, renovation, and new custom home Design+Build services to clients in the Jupiter Island - Palm Beach and surrounding areas. Our services range from quick rearrangements of home interior spaces using existing furnishings and accessories to total house makovers entailing complete remodeling of bathrooms, kitchens, interior and exterior spaces. Our expert in-house residential painting crew can quickly and professionally transform the interior and exterior of your house. We also offer complete Design+Build services, focusing on high-end custom new home construction and additions, including oceanfront and waterfront homes. The Island Time Renovation & Design crew is highly resourceful, budget-conscious and is particularly skilled at creating unique interior spaces that evoke timeless elegance and style. Whether your project is to inexpensively freshen up your home for sale, completely redesign, renovate and decorate every room in the house or build a new custom house from the ground up, the Island Time Renovation & Design crew is efficient, passionate and has an eye for completely surpassing your expectations. Our creativity and novel design ideas are always married with resourcefulness and cost-consciousness. Though the best budget is no budget, we all understand the constraints of reality and work to achieve the desired look and feel for your new or remodeled home while sticking to your budget and passing the designer cost savings to you. Call us today at 561-373-4465 and let us show you why many other clients chose Island Time Renovation & Design. Thank you for the opportunity to earn your business! Palm Beach Interior & Architectural Design Firm | Best of Houzz 2018! Integrative Designs, a full service interior design firm, is committed to overseeing each project to insure every specification is met and all expectations are exceeded. At Southeast Interior Design, we cherish the time we spend listening to the aspirations and goals of our clients. Whether it be one special piece of furniture, a room or designing a home from the blueprint stage; electrical and lighting plans through space planning and furniture plans. We can assist you through completion including window treatments, flooring and accessory placement. Do you need color consultation, remix or staging? We are here to help you make your home or office a place of enjoyment! Hourly Consultation, is an great way to meet and obtain ideas for smaller projects. A 2 hour minimum is required. Call our office for options in Design Fees and charges that work best for YOUR Design needs and goals! Harmony of design and design that creates a harmonious life are paramount. The end result being more than you thought possible. One you will cherish & enjoy for years to come. JoAnn Munro of Southeast Interior Design is a state licensed interior designer and a professional member of the American Society of Interior Design (ASID). Together with our creative team, we offer a wide range of services that help create an environment to reflect who you are. With our expertise and passion, you can rely on us for designs that are sensitive of your budget and preferences. Palm Beach Interior Designer Best of Houzz 2014-2017! We offer Interior Design & Redesign, Custom Window Treatments, Designer Wallcoverings, Color Consultations, Upholstery, Commercial Office Spaces & Nautical Interiors & Home Staging! At Southeast Interior Design, we cherish the time we spend listening to the aspirations and goals of our clients. Our goal is to help you create a drop dead look without getting killed in the process! High End Residential/Hospitality Design Firm - BEST OF HOUZZ 2016/2017/2018 Jupiter*Stuart*Palm Beaches/Treasure Coast*Hawaii/Bahamas & Beyond!!! Jupiter, FL based, VDG, is a small, hands-on interior design firm specializing in “tutto a casa” – (everything home)! VDG was established in 2011 after years of tutelage with prestigious firms such as The Decorators Unlimited, (which was home for almost 13 years). Working among the industry's best and brightest, we have honed skills and built relationships that allow us to bring our clients the "big firm" experience, while still providing the most personalized attention possible. Built on the principle of first formulating a well-rounded understanding of a client’s needs, VDG achieves success by discerning the smallest details and then incorporating them into a harmonious mixture of aesthetics and function. Almost 30 years of experience established vast knowledge of critical elements such as scale, color, interior detailing and appropriate material selection. Properly executed, interior design encompasses virtually all trades and as such, requires a very broad skill set, keen attention to detail and superior organizational skills. Equipped with these invaluable tools - in addition to their revered personal customer service - VDG has garnered a loyal, continually returning clientele, many of whom, Geri and Amber now call friends! Having originally attended UNC - Wilmington to study Art History, Geri Visconti now has an A. S. in Interior Design and currently holds an (inactive) FL Interior Design license. From cool contemporary to totally traditional, Rosario Salazar Design offers a highly personalized "hands-on" approach to residential and commercial installations. McRoberts Interiors is a boutique full-service interior design firm serving a primarily residential clientele. We service clients primarily in the Palm Beaches and the Jupiter area, but have traveled to the Caribbean as well as to the northeastern United States for numerous projects. Morrissey Saypol Interiors provides all aspects of interior design services to the discerning home owner. Elise & Liz are committed to meeting the needs of their clients with style & sensibility. Built on a foundation of excellence, Integrative Designs, Inc. was opened in 1990 by husband and wife team Mike and Lynn Maloney. In 2010 they expanded and welcomed partner Donna Amerino. Together Mike and Donna have been creating unique, comfortable, and timless interiors throughout the country. Their diverse portfolio showcases an original style that sets them apart from others in their field. By gaining an understanding of the clients personalities and lifestyle, the design team provides a master plan that ensures communication throughout the duration of the project. Whatever the design intent, they provide effortless solutions, creating a unique, functional environment tailored to reflect each clients individual style. Whether residential, commercial, transitional or contemporary, Integrative Designs is committed to overseeing each project to insure every specification is met and all expectations are exceeded. The design team at IDI believe the greatest compliment they can receive is the recommendation and referral of another satisfied client. Melissa Ziober Guerra, ASID of NXG Studio, is an interior designer who believes in creating unique spaces for her clients. She puts a modern twist on classic interiors. Drawing on innovation, inspiration and a commitment to excellent design, Eve Beres strives to create a space that truly reflects her clients’ vision. NXG Studio is a full service architecture and interior design firm showcasing the talents of the husband and wife team of Noe X. Guerra, RA and Melissa Z. Guerra, ASID. Melissa attended design school at the University of Georgia. She began her career as an assistant manager at Brunschwig & Fils in Atlanta, while doing freelance design on the side. In 2004, she moved to Palm Beach, Florida to practice interior design working for a prestigious design firm. Melissa is known for adding a modern twist to classic design to create spaces that truly reflect each client’s individual style. She is known for inspiring color schemes, visually stunning interiors, and an abundance of design ideas. Using color and texture to achieve gorgeous interiors while evoking the owner’s personality, she builds cohesive, stylish spaces. Melissa is dedicated to enhancing the vision of her clients and creating homes in which they feel comfortable and want to share with others. Noe X. Guerra graduated with Honors in Architectural Design from the University of California, Berkeley. Extensive collaborative work with prominent firms on both the east and west coasts provided practical knowledge in the many aspects of this field, including project management, architectural design, building renovations and additions, interior design, environmental analysis, land planning, contract document preparation and construction administration. Noe specializes in solving difficult architectural problems while creating beautiful environments. Please contact NXG Studio today for help with all of your design needs! 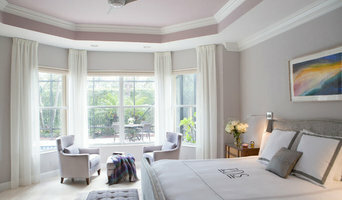 Palm Beach High-End Interior Designer - Best of Houzz! The style, palette and décor are all reflections of YOUR personality….creating a space that is functional and makes YOU feel comfortable. Bringing YOUR dreams to reality! Nina Williams Interiors can handle any design project, from small color consultations, window treatments, staging, custom furniture and built-ins, to decorating an entire home. Sheri Kesten Design specializes in comprehensive architectural and Interior Design. She has built her reputation over the past 30 years through constructing and renovating sophisticated and quietly elegant spaces immersed in practical environments. Kesten’s signature is her unique ability to create distinctive, one of a kind custom designs. The essence of Sheri Kesten Design portrays a sleek dynamic with a cutting edge. At Janice Russillo Design, we don’t like to compromise. When it comes to Interior Design and Architectural Renovation, we want you to get exactly what you want and we're here to help in anyway we can. Brianna Bernstein, owner of Understated Elegance Interiors brings A LOT of energy and passion into every project she takes on. 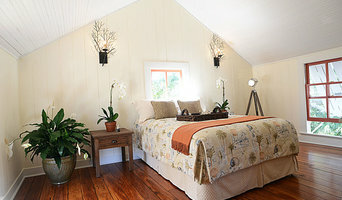 Brianna specializes in creating beautiful and functional spaces. The Island Time Renovation & Design crew is highly resourceful, budget-conscious and is particularly skilled at creating unique interior spaces that evoke timeless elegance and style. Vee Merklen Inc. is an interior design firm based in Delray Beach, Florida. Vee specializes in modern custom interiors that create a feeling of well-being, delight the senses in form, function, and comfort. A Full service Interior Design General Construction Firm - We specialize in interior architectural design and fine home furnishings for high-end new construction design and remodeling projects. Innovative leader creating Residential & Commercial interior design solutions throughout South Florida and New York Metro area. Full Service Interior Design Firm, from inception to completion. Ginny’s hands-on approach and client communication allow her to foresee and eliminate construction difficulties and open her client’s eyes to possibilities they never dreamed possible. Palm Beach Renowned Interior Designer Best of Houzz 2015-2019! TV Host and personality, Krista Watterworth’s full-service design firm specializes in high-end residential and commercial projects. KWDS was founded in 2003. Creating classic, timeless and truly livable interiors are the hallmark of Jackie Armour. As founder and CEO of JMA Interior Decoration, Inc., Jackie cares deeply about her clients and interior design as an art. Jackie is exceptionally versatile, wildly creative yet practical in her approach to each project. Her business is interior design; but her expertise is far broader. She cares for each client to ensure that the smallest of details are perfect, whether they are color, quality, texture or a myriad of other elements that define your home. For over 20 years, the JMA team has provided comprehensive interior design services to fulfill the dreams of their clients. We specialize in both residential and commercial design for both new construction and renovation projects. We approach every opportunity with a fresh eye and sensitivity to the client’s needs. Eve is a qualified industrial psychologist and worked in the field for over a decade, however decorating has always been her passion. Through working with people as a psychologist and decorating homes as an interior designer, Eve discovered the synergy of both. She became hyper aware of the impact of one’s surroundings on their well being. So, Eve founded Rooms by Eve with her philosophy in mind that REdesign REinvigorates. With each room that Eve decorates, she pays close attention to it’s purpose, whether that’s to RElax or REcharge. Eve’s goal is to improve not only the aesthetics of her client’s homes but more importantly the overall harmony and energy. Eve's success is due to her thoughtfulness, dedication and personal attention she gives to every project. Her clients enjoy an easy, fun filled experience from start to finish. From the first sketch to the last accessory, our professional and personal service ensures an enjoyable process and results that improve living. We'll get the flow right and find your perfect style.